For more of this week's Saturday Snapshots, or if you'd like to participate, please visit Alyce with At Home With Books. 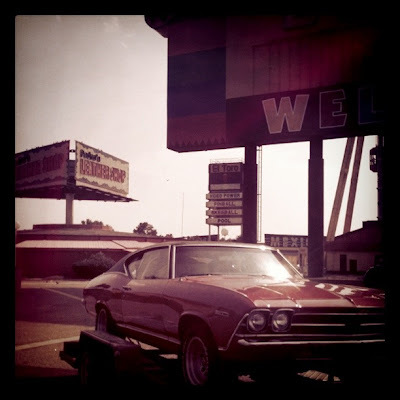 Popular tourist site in South Carolina "South of the Border"
My husband's 1969 Chevelle...we love, love this car. 2. I LOVE South of the Border. Did you pose with any of the funny statues? Damn I love that car. I can't think of a better way to drive to a new home and new adventure. Are you still coming to SIBA? Good luck with the move. Glad it's after Irene and not during! Oh, that car reels me back into a nostalgic time! Since none of the other images in the photo with the car tell us about what time period you're in, you could almost be back in the sixties! And for more nostalgia, click my name to visit my website! That Chevelle is sa-weet! I'm so glad the move went well, and that you're settling in! 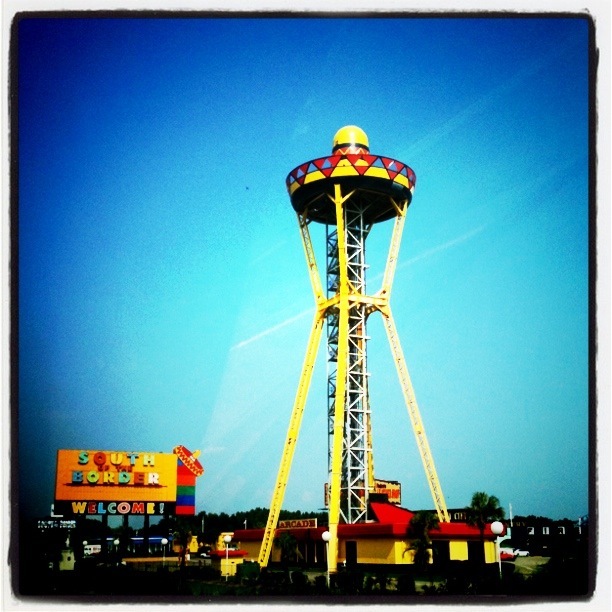 I've lived in South Carolina three times and have never been to South of the Border. I'm glad things went so well. I love Virginia Beach! We went on a road trip a couple of years ago all along the East Coast and Virginia Beach was one of our favorite stops. Great pictures...they give off a nostalgic mood. Terrific road-trip photos. Did you stop at South of the Border? Is there anything kitschier? Great pictures, I love the colors. Good luck with your new home. Very nice car, and I love the effects that you have done on all these pictures! I know it's a big deal to leave it all behind and move, but here's hoping that you love your new place and have a great time there! Fun photos! I'm glad you made it safely. Fabulous car! I hope the move is going smoothly -- good luck with it!! That's my 21 year old son's dream car! That Chevelle is a beauty! Loved your photos, thanks for sharing. Have a great weekend. Cool photos! I know I'm dating myself, but my 1st car was a brand new 1971 Chevelle (blue). Very cool car! Thanks for sharing! 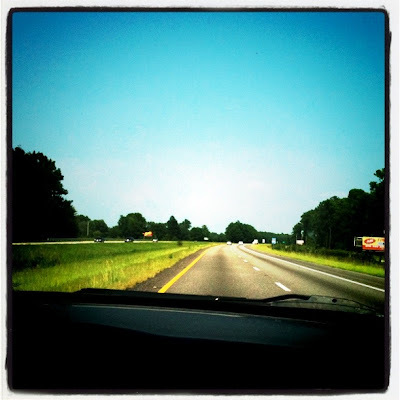 How exciting to move to a place you love! I hope the settling in is going smoothly! It must be nice to have finally moved. Living in moving limbo is tough. I hope everything goes smoothly with your move. Atleast it's fun to be on the road and enjoy the scenery. I love that car! Great photos! I hope the unpacking and settling in goes well.